Manly junior burst onto the league scene as an 18-year-old halfback in 1982. 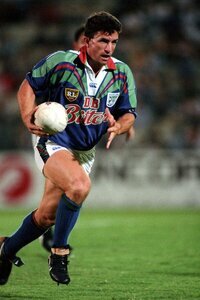 Blake was a brilliant prospect, possessing a perfect chip-kick, with great anticipation and positional play, and was unlucky not to tour with the Kangaroos that year. A try-scorer in Manly's grand final loss to P’matta in 1982 (and 'Dally M' Rookie of the Year), he scored a club record 27 tries fin the 1983 season. 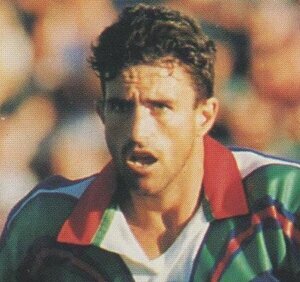 Under coach Bob Fulton in 1983-84, Blake's defensive lapses were exposed and after persevering as a winger, he went to England (Warrington 1985-86) before switching to Souths where he secured his favoured five-eighth role. 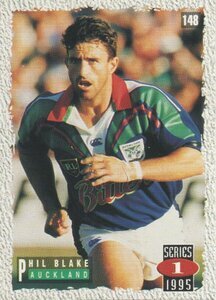 His career at Souths brought momentary stability, including State of Origin selection as a reserve in 1989. 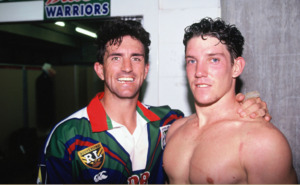 Blake left Souths the following year but despite scoring over 100 first grade tries, failed to re-establish a first-grade place at either Norths (1991) or Canberra (1992). 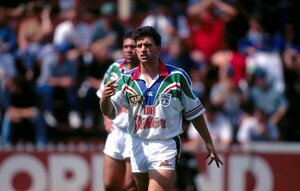 Lining up with St George, Blake produced glimpses of his old magic in 1993, including an appearance in the grand final against Brisbane, but the 1994 season was unrewarding. 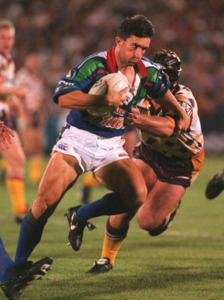 Blake joined his sixth Sydney premiership club, the Auckland Warriors, in 1995 and scored the club's first premiership try in the 25-22 loss to Brisbane. 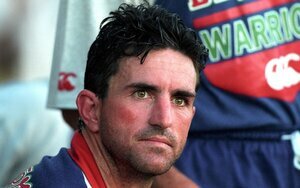 He returned to Manly at the beginning of 1998 and trained with the club pre-season before announcing his retirement. 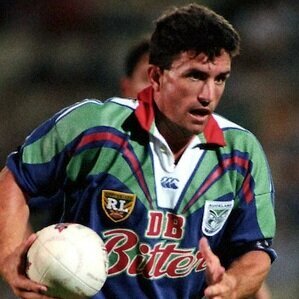 Blake was later assistant coach to Craig Coleman at Souths in 2002-03.